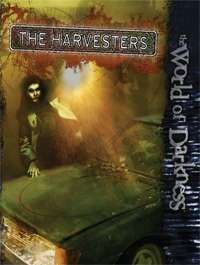 In the Harvesters, the characters are pitted against a group of kidnappers that prey upon the forgotten people and sell them off to the highest bidder. They visit upon those lost souls any torment that pleases them, so long as they don't compromise the bottom line. In Chicago Workings, when a new neighbor moves into the characters' neighborhood, they become the final hinge in a fifty-year-old secret struggle between the ghosts of two Chicago geomancers. The fate of their occult conflict is in the characters' hands. An adventure compilation for the World of Darkness.